BEIJING -- Volkswagen AG said its sales in China and Hong Kong climbed 18 percent last year to a record, led by deliveries of Lavida and Sagitar sedans and demand for Audi luxury cars. The VW Group, which also owns the Skoda and Bentley brands, sold 2.26 million vehicles in the two markets in 2011, Europe's largest carmaker said on Friday. General Motors Co., the biggest foreign automaker in China, increased sales in the nation by 8.3 percent last year to a record 2.55 million vehicles. Volkswagen is counting on the world's most populous nation to drive growth in emerging markets as it seeks to surpass GM and Toyota Motor Corp. for the global sales crown by 2018 or sooner. China is now the largest market for VW brand as well as premium brands Audi and Lamborghini. "Although we expect tougher conditions for the car industry to come, we want to maintain our leading market position in China," Karl-Thomas Neumann, CEO of VW's China unit, said in a statement. "We see a great potential for an expansion in China's rural areas where millions of people will benefit from better mobility." China's auto sales slowed last year, trailing growth in the United States for the first time in at least 14 years, after the government ended stimulus measures and as the nation's economic expansion showed signs of easing. Growth in passenger-vehicle demand in China will accelerate this year to about 9.5 percent, or about 15.87 million units, from the 5.2 percent pace last year, according to the auto association. Car sales in the country rose 33 percent in 2010, and grew 53 percent in 2009. The German automaker sold 1.72 million units of its main VW brand in China, an increase of 14 percent from a year earlier. This amounts to 34 percent of the brand's global deliveries of 5.1 million vehicles last year. Audi increased sales in China and Hong Kong by 37 percent to a record 313,000 vehicles in 2011. China became Audi's largest market globally last year. The Ingolstadt-based automaker boosted deliveries of imported cars such as the Q7 SUV and the Audi A8L sedan. The carmaker also sold more domestically produced A4L and A6L sedans, whose wheelbases were extended to meet the needs of chauffeur-driven Chinese buyers. 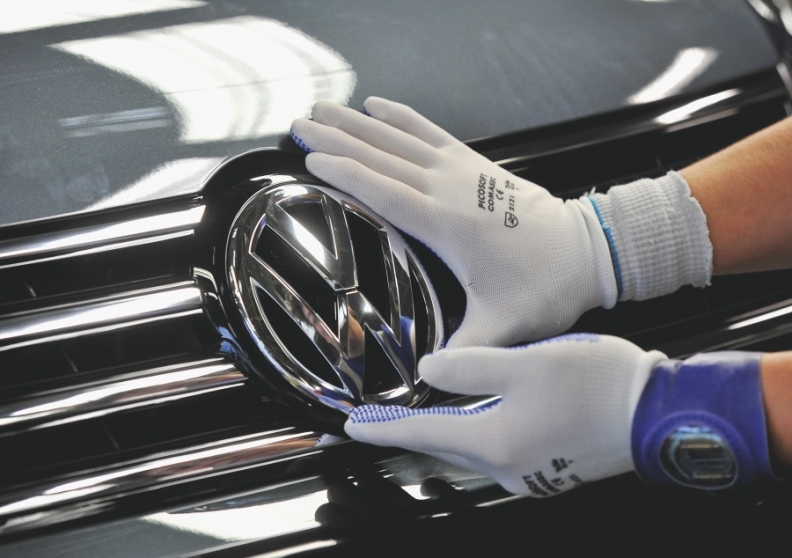 VW, which has joint ventures with China FAW Group Corp. and SAIC Motor Corp. in China, was the first foreign automaker allowed to produce cars in the Asian nation. The German manufacturer said Jan. 6 it will add a seventh car plant in China as part of plans to invest 14 billion euros ($18 billion) to expand Chinese production and models by 2016. The group sold 220,100 units of its entry-level Skoda cars in China last year. Among its upscale brands, the company delivered 403 Lamborghini supercars and 1,780 Bentley cars in the country.